More than just an internationally acclaimed musician, “Bra Hugh” was a South African cultural iconoclast for more than 50 years, whose work was the soundtrack of a political movement and gave a voice to the people of SA. 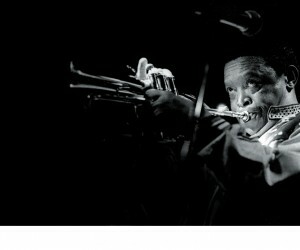 Hugh Ramopolo Masekela was born in 1939, in the Kwa-Guqa township of Witbank, Mpumalanga. Musically inclined from a young age, Masekela was inspired to find his calling in jazz music by Kirk Douglas in the film Man with the Horn; he was particularly fascinated by the trumpet. He received his first trumpet at the age of 14, a gift from anti-apartheid cleric Archbishop Trevor Huddleston; and it seemingly never left his hands since. He quickly became a master of the instrument, as well as of the flugelhorn and cornet. He played in a number of bands in high school and as a young adult, including Huddleston’s Jazz Band youth orchestra, the Manhattan Brothers and the legendary Jazz Epistles, alongside fellow future legends of South African music, Abdullah Ibrahim (then known as Dollar Brand), Kippie Moeketsi and Jonas Gwangwa. The Epistles were a regular house band for the Sophiatown cultural and political boom of the late 1950s. Masekela got his big break when he joined the cast of Todd Matshikiza’s jazz opera King Kong, which toured the world in 1961. During a tumultuous political period in SA, which included the Sharpeville massacre and the injustices of institutionalised apartheid, Masekela chose to live in exile following the London run of King Kong. He spent the early 1960s mastering his musical craft at the London Guildhall School of Music and at the Manhattan School of Music. At the time he met fellow African political exiles and anti-apartheid campaigners, including American actor Harry Belafonte, with whom he worked to bring the real story of apartheid and racial discrimination to the world’s attention. He was married to fellow King Kong cast member and exile Miriam Makeba from 1964 to 1966. Although they divorced, Masekela and Makeba had a lifelong personal and musical friendship until the latter’s death in 2008. His growing canon of recorded work increasingly took a political slant, particularly on the album, The Emancipation of Hugh Masekela, released in 1966. Masekela scored his first US top ten hit with an African-infused instrumental version of the Jimmy Webb pop hit Up, Up and Away in 1967. In 1967, Masekela and his band played their first breakout high-profile show, the Monterey Pop Festival, alongside the era’s biggest musical legends such as Jimi Hendrix, Booker T and the MGs, and Otis Redding. Masekela featured in the official film and soundtrack of the festival. His 1968 single, Grazing in the Grass, reached number one on the US pop charts. The song became his signature for much of the 1970s and was later featured in a number of film soundtracks, including The Last King of Scotland and The Lion King. Masekela continued to record and tour throughout the 1970s and 1980s, circling ever closer, both musically and physically, to Africa. He toured across Africa with the likes of Afrobeat pioneer Fela Kuti and Ghanaian jazz band Hedzoleh Soundz, as well as with fellow South African exiles Makeba and Gwangwa. In 1974, he was one of the organisers of the Zaire 74 festival, which brought together the best of African and American soul and jazz artists to compliment the “Rumble in the Jungle” boxing match between Muhammad Ali and George Forman in Kinshasa. 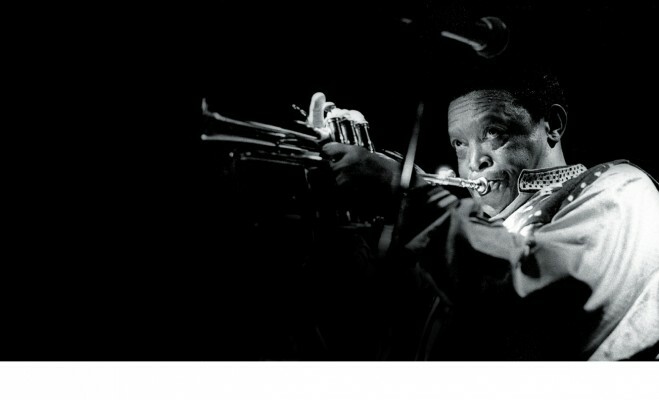 During this time, he also featured on recordings with US rock band The Byrds and jazz pop trumpeter Herb Alpert, as well as on the early solo albums of Paul Simon, with whom he would later work on the 1987 Graceland album and tour.During the 1980s Masekela made his African home base Botswana, opening a music school and once again recording with big names in African music, as well as working with ANC cultural organisations in exile to formulate a cultural manifesto for a free SA sometime in the future. His 1987 hit, Bring Him Back Home, was adopted as the anthem calling for the release of Nelson Mandela and other South African political prisoners, as well as a call-to-arms for African exiles around the world to return to their motherland. Masekela finally got to play the song live for Mandela himself when he was released in 1990. The musician had returned to SA around the same time. He continued to record and mentor new generations of South African musicians. In 2004, he published his entertaining and candid autobiography, Still Grazing: The Musical Journey of Hugh Masekela, in which he highlighted not only his successes but also his struggles with homesickness and alcohol abuse. In the book he vowed that his story was not yet over; he was determined to keep on creating new music that celebrated his country, the continent and its people until the day he died. A number of top music and academic awards were bestowed on Masekela throughout his life, among them the National Order of Ikhamanga in 2010, an honorary doctorate in music from the University of York and Rhodes University, and an African Music Legend Award. In one of his final performances, in 2016, Masekela reunited in Johannesburg with Ibrahim to perform as the Jazz Epistles again, to not only celebrate the history of South African music but also to commemorate the 40th anniversary of the historic 16 June 1976 youth demonstrations. Masekela is survived by his wife, Elinam Cofie and children, Pula Twala and Selema “Sal” Masekela, from his previous relationship with Jessie Marie Lapierre.